Lance Naik Ramdhari Attri hailed from Bhalot village in Rohtak district of Haryana. Born on 07th April 1966, Lance Naik Ramdhari always wanted to serve in the Army since his childhood. 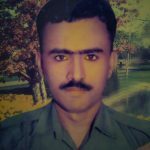 He followed his dream and went on to join the Army on 12 Dec 1988, at the age of 22 years. He was recruited into 2 Jat of the famed Jat Regiment, a regiment known for its courageous soldiers and numerous battle honours. After serving for a couple of years with his unit, Lance Naik Ramdhari was later deputed to 34 RR unit deployed in J & K for counter Insurgency operations. Son of Shri Surat Singh, Lance Naik Ramdhari got married to Sona Devi and had two sons named Pramod Kumar and Vinod Kumar. During the year 2000, Lance Naik Ramdhari’s unit was deployed in Kupwara district of J & K. The area under the responsibility of 34 RR was infested with terrorists and the unit was engaged in counter-insurgency operations on a regular basis. On 12th Sep 2000, a group of about 12 terrorists in a pre-planned move, attacked the 34 RR unit HQs in the night. The terrorists were equipped with automatic weapons and resorted to indiscriminate firing to cause panic and maximum causalities. Though it was a surprise attack by the terrorists and at the time of their choosing, the troops of 34 RR rose to the occasion and quickly organized themselves to repulse the attack. A fierce gun battle ensued thereafter lasting for several hours. However during the heavy exchange of fire three soldiers including Lance Naik Ramdhari got seriously injured who later succumbed to their injuries. 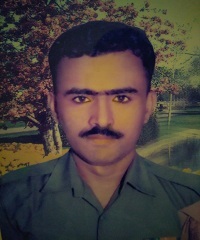 Lance Naik Ramdhari was a gallant and committed soldier who laid down his life in the service of the nation at the age of 34 years. 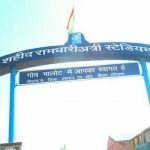 Lance Naik Ramdhari has been a source of inspiration for the people of his village, who have constructed a stadium in his native village, Bhalot in Rohtak district in his honour. Lance Naik Ramdhari is survived by his wife Smt Sona Devi and sons Pramod Kumar and Vinod Kumar. 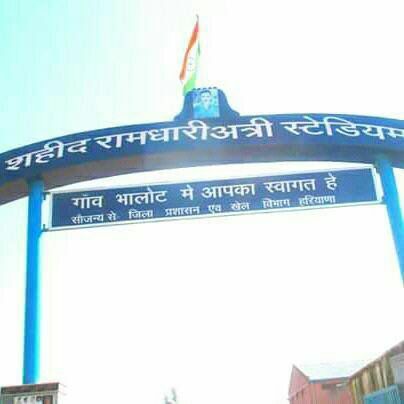 Jai Hind, Jai Hari, Jai Gorkha. I salute you Sir. Jai Hind.!!! Miss u Papa . Always u r in my heart and I always remember you . Miss u Papa. You are in my heart always. We are very proud of you & the whole Nation is indebted to you, Brave son of Maa Bharati ! We pay our homage & floral tributes to you with extreme Pride. May you rest in peace at the feet of Almighty Shri Ram ! Jai Hind Vande Matram ! You r our real hero.